Such stuff dreams and addiction are made of. I'm free of the evil root of loving money. But not of the sin of loving the beautiful things money can buy. The buying is limited by the amount of money, so when I'm broke I sell other items in my Stamp Room to sustain this strange fascination for stuffs that stir the heart, even if the mind struggles and tries to remind me to stay within budget. In the end vain material wins over the weak spirit. I just put some band-aids on my wounded pockets. A few days ago I sold a framed sheet of 100 of the 1898 Spanish-Philippines King Alfonso XIII 3c issue to a picker. 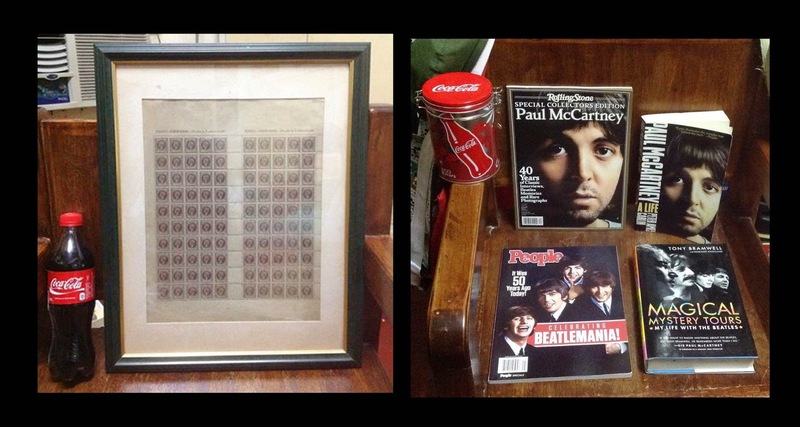 Part of what I earned was quickly dissolved the next day when I paid for four Beatles books and magazines; the remaining amount was used to pay for the frames of four posters I had bought earlier at the Collecticon event at SM Megamall. more Beatles books and magazines, even Marvel plush seats from Toy Kingdom. I figured the Heineken must not feel lonely and -- voila! -- a green Heineken bottle joined in. 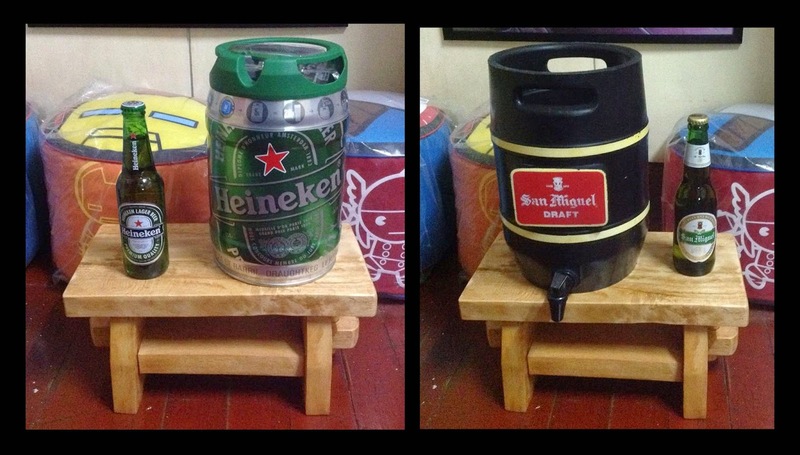 Coming home, the Heineken pair joined the San Miguel keg and its little green brother. There are things that cannot be priced at market value because they were not intended for made for purposes other than selling, like the Starbucks signage made of heavy inch-thick wood on which the famous coffeehouse's logo was carved. The story is that there were inaccuracies found in the design and the manager of the Boracay branch rejected it. 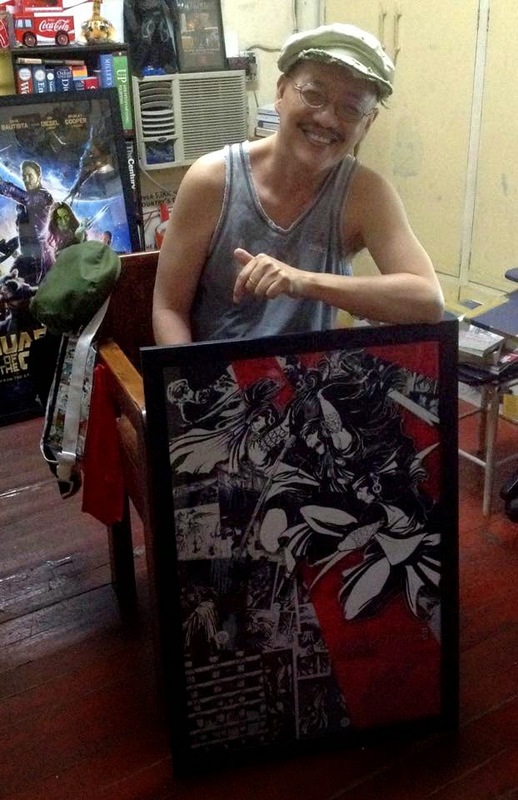 Eventually it wended its way to Manila, where I found it at a friendly picker's home. The logo's black siren mesmerized me and told me I should negotiate for it because she's coming home to stay. 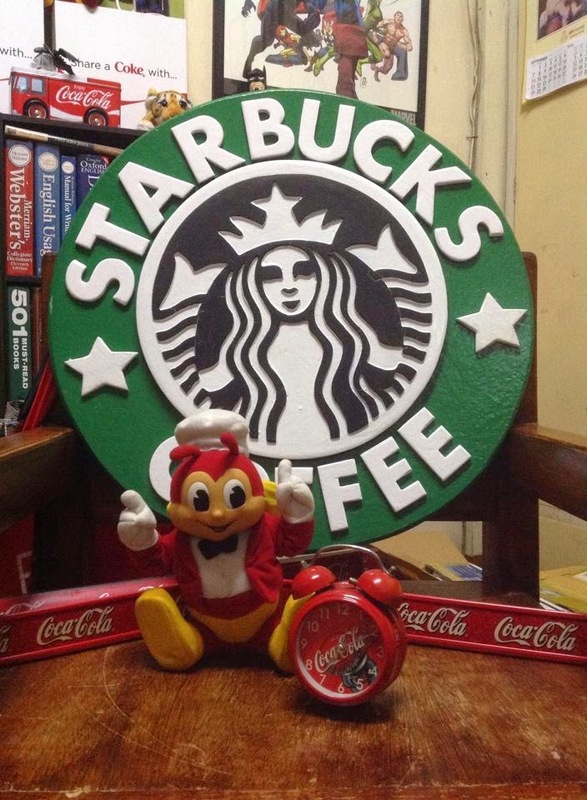 A cheerful Jollibee doll and a tiny Coke alarm clock went along to take the edge off a strange day. And sometimes what is deemed precious to collectors is just given as gift to others, triggering social contortions among us to get our hands on the gift, which cannot be found on the market. A few months ago, three editors of a broadsheet, my wife among them, each received a boxed set of Coke plastic bottle and can. I was happy to get my wife's share. She told me that her two colleagues removed the bottles and cans from the boxes, leaving them at their desk. I asked my wife if her colleagues were willing to part with the boxes. The next day I got them. To this day, however, I have not been able to get a bottle with my name printed on the label. 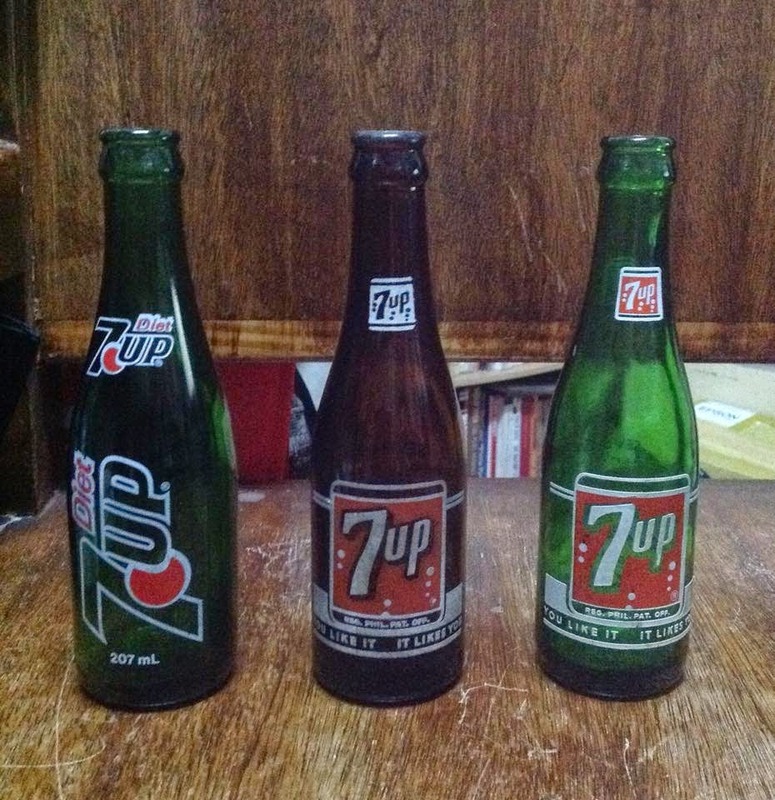 I used to fret because I cannot travel to promo sites where Coke bottles and cans were printed with collectors' personal names or tags. Eventually I just relaxed and let matters go their own way. In short, "Don't force things. Have patience and what is due will come; what is not will not." Something like that. Happy wife with personalized Coke. 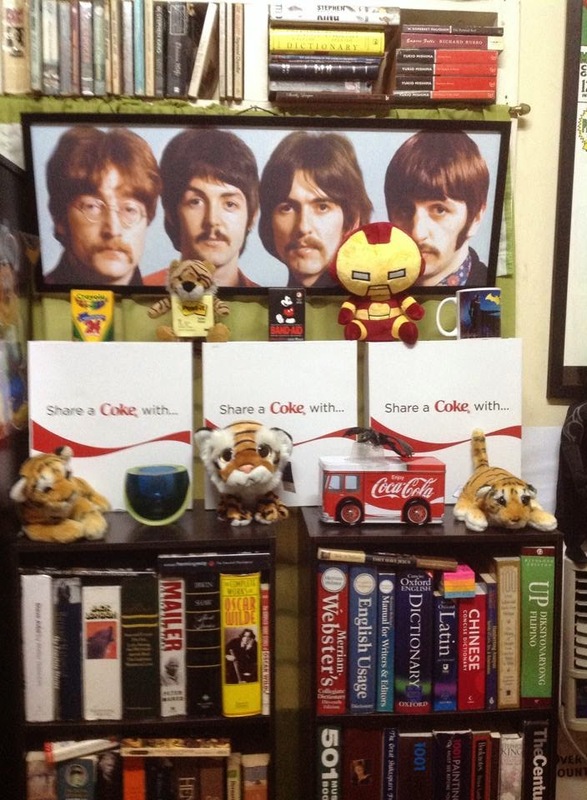 Then there are three boxes (and four Beatles). When dwelling in the material world, passion or greed can drive people to meanness and dishonesty, setting aside the fact that there are intangibles much more valuable than a vintage Rolex, that $3,207,852 Action Comic book, a warehouse full of vintage cars, and the fount of rare posters and bottles. I had the good luck of meeting online some good collectors who were generous with their kindness and information; they offset the few who were nasty and crafty. Everyday, when I see hundreds of gorgeous collectibles, I have to remind myself of Suze Orman's motto: "People first, then money, then things. Now you stay safe." I have learned this serves, or cuts, both ways. 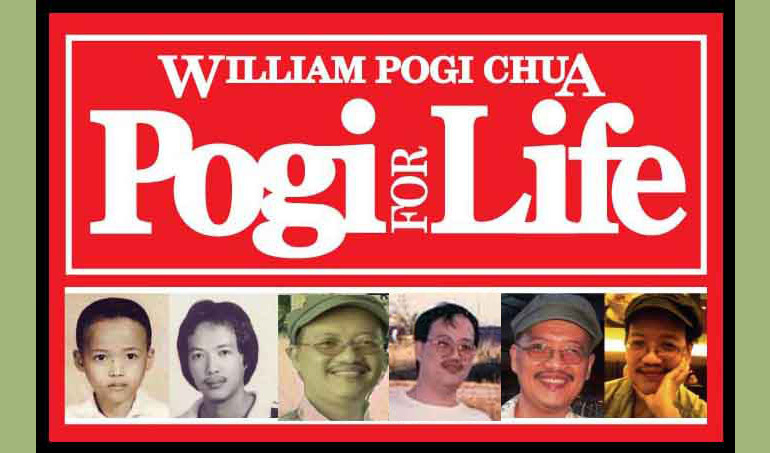 Thank you for your artwork, Tepai Pascual. You make life an art, as you should.